Become the best cook in a fantastic match-3 game! Embark on afascinating adventure with Sweety the Kitty! Travel around theworld in search of new recipes. Defeat an evil Rat who's trying toprevent the little cook from collecting delicious recipes! Add newrecipes to the book presented to Sweety by his beloved Granny. HelpSweety become a chef by solving puzzles and overcoming the evildesigns of the enemy Rat who is standing in the way of the youngtalent's glory. You can play alone or with friends to share yourvictory and overcome the difficulties in the game. Picturesqueplaces, colorful graphics, stunning effects and an exciting levelswill not let you tear yourself away from the game. Show the Rat whois incredibly talented and skillful cook here! Travel across theworld and visit different countries! Discover new recipes forvarious tasty confections, candies, sweets! Features you'll enjoyin our game: ☆The game is easy to learn and fun to play. Yet it'squite challenging! ☆Completely free match-3 experience! ☆You canplay offline and completely for free! ☆Lots of exciting new gamemodes and puzzles ☆Useful magic boosters that will help you withhard levels ☆1000+ fun and challenging levels to beat! Become the best actor in this spectacular matching game! Help Quinnto become the Queen of Drama by switching and matching your way tosuccess. Play alone to become the best actor or play with friendsto see who can get the highest score! Lots of fun and interestinglevels wait for you in this new amazing match-3 puzzle game that.Show the lead actress Violetta who’s the true star of the theatre!Queen of Drama is completely free to play, but some in-game itemssuch as extra moves or lives will require payment. Features youmight enjoy in the game: -Match masks to beat over fun andchallenging levels! -Match 4\5\6 masks to create powerful bonuses!-Completely free, you can win all levels without purchasinganything -Play with your friends and beat their score! -You canplay offline and for free! -Beat levels to see interestingtheatrical plays! -Compete with the theater's lead actress Violettato show her who's the star of the stage! -Depictions of differentexciting plays by famous authors in the game! -Powerful magicboosters will help you along the way! -Don't forget to log in dailyto get your daily bonus! A powerful dark wizard bewitched adorable wizard cats! Only you canrescue them! Free cats and they will become your faithfulassistants in battle against dark magic. 💎Match jewels and gems!Fun addictive gameplay! 😺Thousands of challenging and uniquematch-3 levels! 💎 No Wi-Fi or Internet connection required to play!😺Powerful and fun magic boosters and power-ups will help you!💎Completely free, you can win all levels without paying! 😺Play withyour friends and beat their score! 💎Play levels to top theleaderboards and beat best players in the world! 😺Cute cats andkittens with interesting personalities and stories! 💎Various funin-game events and sales! 😺Travel different picturesque places andhelp adorable animals! 💎Don't forget to log in daily to get yourdaily bonus! Grand confrontation between Light and Darkness awaits! Lead Duck Travolta, Ducky Parton and Quackson Five through a worldwhere ducks rule the dance floors and the 70's never ended! Usecolorful combos, gather groovy powerups and build your Mojo todefeat wicked villains as you connect, dance and explore! FEATURES:• Easy, addictive puzzle gameplay! Match and connect colourfulDisco Ducks to light up the dance floor! • Lots of crazy, dancingDisco Ducks with special skills to collect and master! • Singingducklings will serenade you with new disco tunes every time youplay! • Hundreds of addictive levels. And always another nestful inthe making! • Stunningly beautiful, hand-crafted graphics andanimations from A to Z! Already played and enjoyed the game? Staytuned for updates and please do drop us a review! If you need helpor have any questions at all, check out these sources for all thelatest news, tips and disco tricks: www.facebook.com/DiscoDucksGamewww.twitter.com/TactileEnt Thank you for playing. See you on thedance floor! “Bunny Pop 2” is Brand new addictive bubble shooter game, easy andfun. I Bet You won’t stop playing! Naughty Wolf robbed all ofcarrots which is rabbit’s meal in carrot village. Chase down thatwolf and beat it by bubble shooting. HOW TO PLAY • Just Drag &Drop! than bunny would throw a bubble to POP! • Match 3 or morecolored bubbles to Burst! • Special boosters & aid bubbles helpyou to travel magical world. • Burst bubble levels with minimumshoots to win higher scores. • Don't worry! There’s no time limit!KEY FEATURES • Play 5 Different types of mission! • Collect &Change your bunny costume! • Tons Of Unique Levels - Over 300+levels are unique and full of fun and amazing challenges! - Explorethe beautiful world with Bunny! • Easy & Fun - Super Easy tolearn and fun to master gameplay • No Play Limit - Play it anytimeanywhere! • No Need to Find Network - Play it anywhere withoutnetwork. • STUNNING GRAPHICS - Soothing sounds and gorgeous visualeffects • OPTIMIZED ANDROID & GOOGLE PLAY GAMES - Designed fortablets & phones. - Support both ARM & x86 DEVICES. NOTES •Bunny Pop 2 contains some ads which is banners, interstitials,videos and house ads. • Bunny Pop 2 is free to play game, but someof in app purchases included. E-MAIL • [email protected] Like us onFACEBOOK • https://www.facebook.com/BitMangoGames App Permissions[Required Permissions] - none [Optional Permissions] - Photo /Media / File: required storage access permission to save game data[Permission setting and withdrawal method] - Android 6.0+: DeviceSettings> Application Management> Select App> RevokeAccess - Under Android 6.0: Can revoke access by deletingapplication Having fun playing Bunny Pop 2! Thank you! Don’t just watch livestream channels: create your own! Join thestreaming game, create funny, viral and exciting videos and gathera massive fandom of loyal followers! Then make even doper gamestreams, rack up more views and start scoring some serious money!Who said you couldn't become a tycoon playing games all day?HIGHLIGHTS 🎮STREAM viral live game videos with classic idle clickergameplay in your own channel and gather a massive online fandom!Make your subscribers twitch with adrenaline as they watch yourgaming prowess in action! 🎮GET more and more views and pay closeattention to your followers’ chats to give them exactly what theywant and start making BIG money! Just be careful not to sow discordamong your fans! 🎮UPGRADE your setup to make better streams andsend your subs number through the roof! 🎮CHOOSE among four gamegenres to stream: MOBA, FPS, RPG and Survival! Measure each one’sapproval rate among your subscribers to maximize your impact andviews! 🎮COMPLETE every Stream Goal and become the most famouslivestreamer on Stream.tv! Put all your years of gaming to good useand show the world how good you are in many kinds of games(clickers included)! Once you start your streaming channel, there’sno going back: your fans will always be twitching for your nextbroadcast, and they won’t settle for ResidentSleeper worthy videos!You’ll have to deliver, lest discord fall upon your fandom! Use allthe money you earn to set yourself up with some SwiftChamp-levelgear, listen to your subscribers and you’ll quickly rise throughthe viral livestreamer ranks and OWN Stream.tv like a true idleclicker gaming tycoon! Draw your controllers and start streamingnow! Version 2 of LINE's most bubblicious casual puzzle game is here!It's Bubble 2! 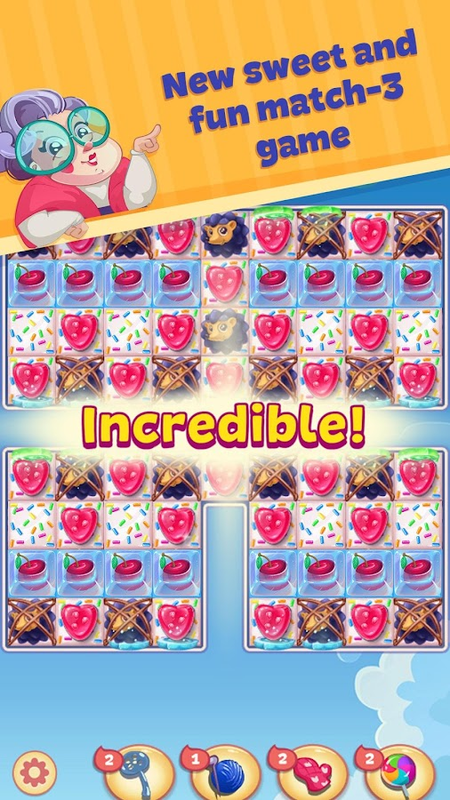 Enjoy exciting gameplay together with LINE's Brownand Cony, as you toss bubbles around to solve puzzles! Brown, whereare you?! Brown is missing and Cony is off on a journey to findhim. But before she knows it, she's swept up by a strange reddragon and whisked off to a mysterious land! Just where is Conyheaded to? And will she be able to rescue Brown? ◆ About BUBBLE 2 -Have fun tossing bubbles around! - Who says puzzle games have to bedifficult? This ain't so tough! Just point and shoot the bubbleswhere you want them to go! - Countless stages full of fun! More andmore beautiful stages than LINE Bubble! - Different obstacles inevery Episode - New challenges and dangerous bosses await Cony atevery turn! ◆ How to Play - Connect 3 or more matching bubblestogether to pop them! - Put together combos to earn special bombbubbles! The longer your combo, the more powerful the bomb! - Takeon challenging missions at every stage! This is one bubble puzzlegame you can't be without! Enjoy LINE Bubble 2 anywhere, anytime!Play LINE Bubble 2 together with friends for even more fun!